In case you didn't read the title--Legoland is NOT about the rides. Though Legoland does have enough rides to fill an entire day (and then some), the rides are not unique (with a couple of exceptions), aimed almost exclusively at the 4-9 age group, and frankly your child would be equally happy going to a local amusement park--at least as far as rides go. Also, the ride policy on kiddie rides is borderline absurd. On some rides, children under 48 inches must ride with a guest over 55 inches (that means an adult or teen must ride with a 6-year-old on kiddie rides). This policy is not just for roller coasters (which would make sense), it is for rides like the Safari Trek, a simple jeep car ride along a track. Babies are not allowed to ride in laps on many rides making it particularly difficult for families with multiple young children (we have 3 children under 48 inches). Ironically, our under-48-inches 7-year-old who could not ride Safari Trek without an adult could drive the Volvo Cars by himself on a course that does not have a track. Uh. . . But it really doesn't matter. Why? Legoland is NOT about the rides. So what is it about? The legos, of course. The first thing you should do is sign up for a Mindstorms Class (first come, first serve) for children 9 and up with an adult. Despite signing up in the morning, the classes are usually taught mid-afternoon. This was by far the best hour my oldest children spent on vacation. They worked as a team with my 9-year-old programming, my 11-year-old building the robot, and Dad could not have been prouder. Such a robotics class was unimaginable a couple decades ago. 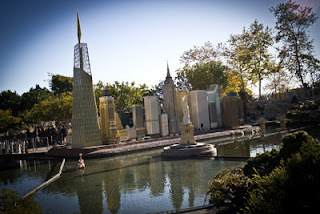 Be sure to spend plenty of time in miniland including the boat tour where the drivers offer fascinating facts about the models and the hundreds of thousands of legos it took to create them. Lego builders have quite a sense of humor. I could not stop laughing when I saw mini figs cleaning out the ears on the Mt. Rushmore statue or the number of Santa figures crashed in various positions subtly throughout the displays. The number of legos used is overwhelming as is the sheer number of scenes from famous cities to Star Wars to full sized statues throughout the park. Some are even intwined with the trees, bushes, and buildings. The Dragon Coaster is a must see attraction as it has a few all-lego scenes in the beginning of the ride before shooting off on a small coaster track. Also keep your eyes open as you move through the park. Lego displays are around most corners and some are not highly visible. The third thing you should do is plan enough time to build with legos (or duplos). Building stations are located throughout the park, built into some of the ride lines, and a major feature at the duplo playground area. Across the park is another large lego, duplo, hero factory, and mindstorms creation area. With thousands of pieces available, you and your child will have the opportunity to build something you may not have enough pieces for at home. For our children, a few minutes at the playground is always a must. For little ones 3 and younger, the duplo village is enchanting and time well spent. Older ones may like a brief time to run through the wolf themed playground by Castle Hill especially if lines are long, though this playground is similar to any large park. While there, be sure to ask the attendant for a crown made from park maps. Also, on hot days, there are two interactive water areas, one in the Duplo village for little ones and another at Pirate Shores for school aged kids (11 and under). 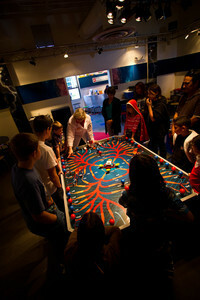 A mindstorms class, exploration of miniland, and building time should take at least three hours. Add lunch, potty breaks, a little shopping, and a few minutes at either or both playgrounds, and you only have a few hours for rides and shows. So please plan carefully, especially off season when the park is only open for 7 hours. Okay, time to catch a few rides--it is an amusement park after all. Unique to Legoland is a claw ride called King's Tournament where guests can pick the intensity of the ride on a scale from 1-5. Riding with my middle children, I only experienced a 2 which was an enjoyable and wild enough ride but completely unlike a coaster. Legoland also offers kid powered rides (like modern paddle boats). Sky Cruiser with its view and whimsical feel is the most popular. Another ride favorite is the Volvo Driving School where children control their own vehicles on a classic driving course--no track, no bumping, where children actually negotiate turns, stop at red lights, and signal. A surprise favorite was the Adventurer's Club where children walk through scenes trying to find hidden keys (more of an attraction than a ride). As you can see from this list, even the best rides at Legoland are more about exploration than entertainment. Because the emphasis is on exploration, this is the only amusement park I intentionally refuse to rush around frantically trying to go on every ride. If you are staying for multiple days are have aquarium loving children, check out the very small Sea Life Aquarium located practically within the park. In addition to all the animals you would expect to see in the tanks, the lego builders have added clever lego creations for the fish to explore. Indoors and easily seen in an hour or two, this might be perfect for your family especially if you have the misfortune of touring the park on a busy or hot day. The Aquarium is an additional cost and our family found we did not have enough time to visit it anyway. The water park is small and often crowded. 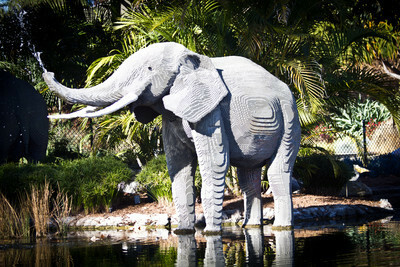 So unless you are staying for multiple days, I recommend you spend your time elsewhere, especially around Pirate Shores or the Duplo splash area where children can cool off and get wet without the added cost (the water park is not included in the general admission price) or time visiting the water park requires. Because Legoland is more about learning and exploring than going on rides, it should cost less than your local amusement park. Be sure to find significant discounts such as free children tickets with purchase of adult tickets, 2 days for the price of 1, online discounts including 5 days for the price of 1 on rare occasion, etc. Our tickets averaged around $35 a person for one day admission. Most of the complaints I have seen about Legoland are when people have paid full priced, have more adults, teens, or toddlers rather than elementary aged children (ages 4-9) in their group, and only slightly enjoy all things Lego. Conversely, if you are a Lego enthusiast, this just might be the happiest place on earth. 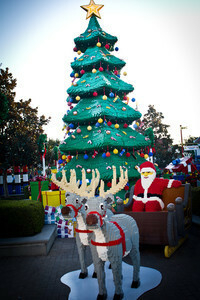 If Legos are always under your Christmas tree and building is more fun than roller coasters, then don't miss Legoland next time you visit Southern California but be sure to find a discount.